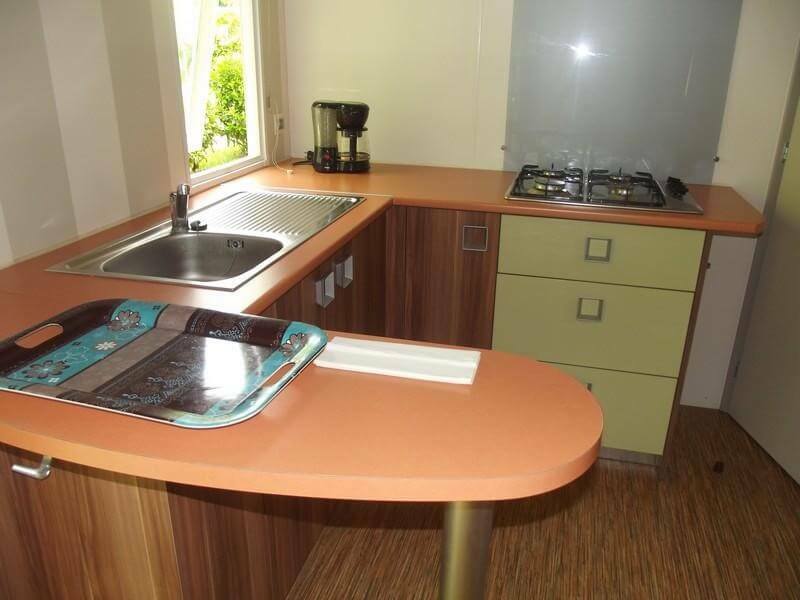 Our mobile home rentals are the best option for your next family holiday in the Dordogne, between Périgueux and Sarlat. 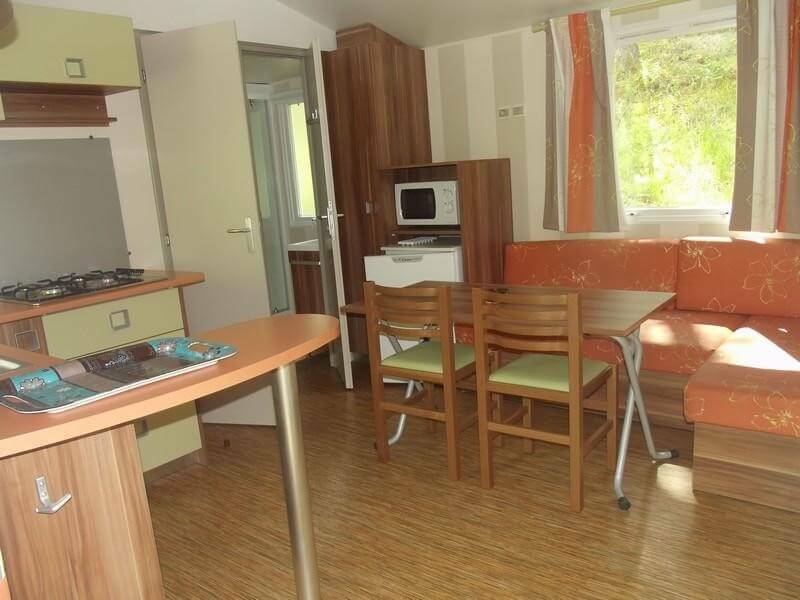 Camping in the Dordogne, located just 20 minutes from Lascaux, has mobile homes comfortable and fully equipped. 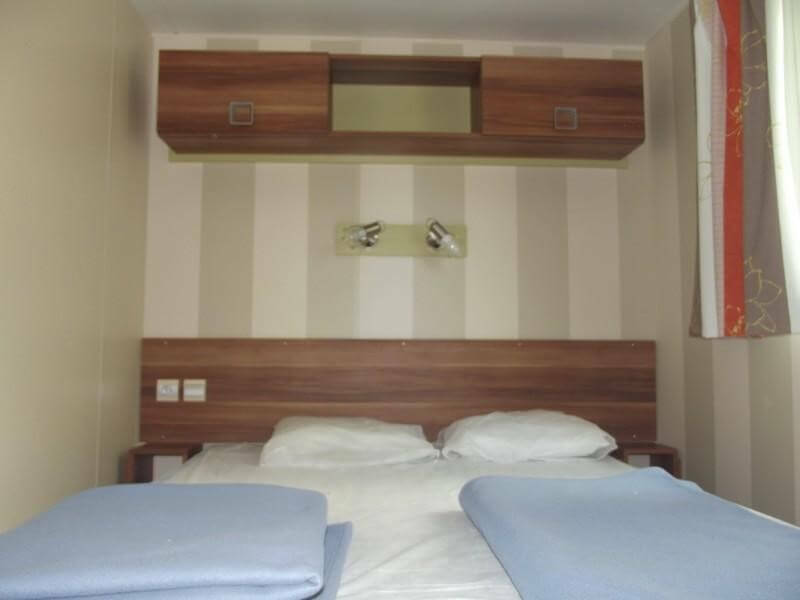 Our mobile homes are from 25m² to 29m², fully equipped, on shaded plots. 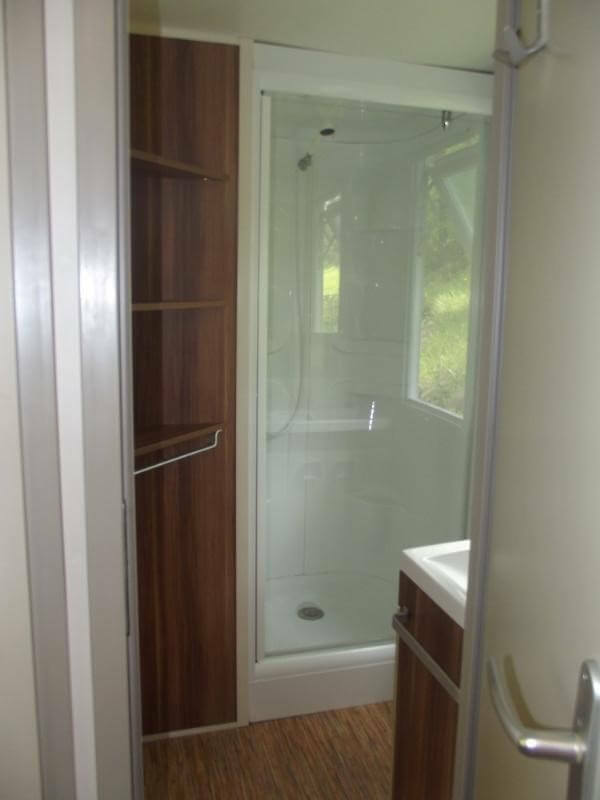 Your privacy will be guaranteed by the boundaries of hedges, and you have your own bathroom, a kitchen and all the comforts of home. You are also allowed to use a barbecue and enjoy sunny days with some barbecues with friends or family. Your garden and the few private terraces will be for you and your family unmissable gathering places at mealtimes. 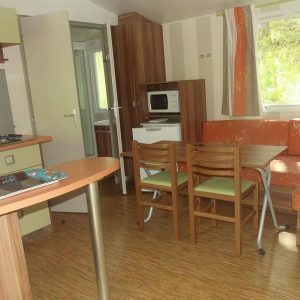 The calm and peaceful setting of mobile homes in the Dordogne will be for you a real peace, without forgetting all the greenery that surrounds the accommodation, what disorient you during your stay in the Black Périgord in Plazac. 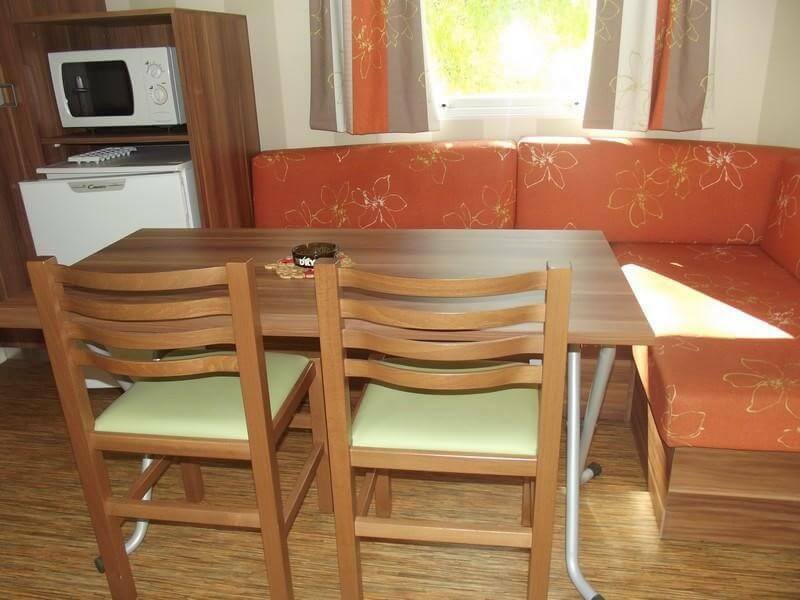 Note that all our mobile homes are located not far from the pool, the lake and all the activities of the campsite, between 50 meters and 300 meters exactly. 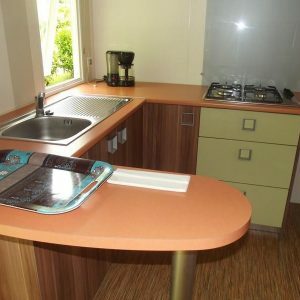 You will feel at home in our mobile home accommodation in Dordogne. 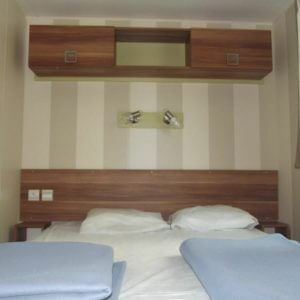 Our mobil homes have a surface of 25m² to 29m², all fully equipped, on shady plots. 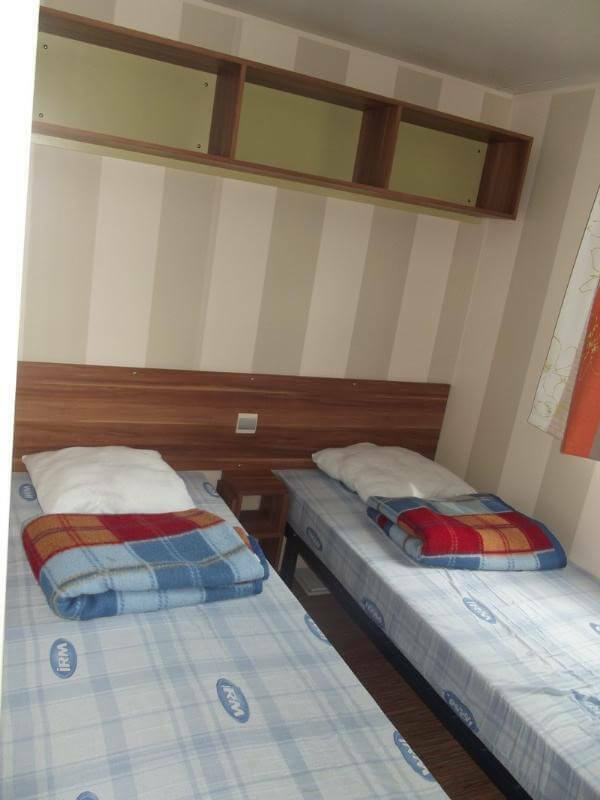 Your intimacy will be guaranteed by hedgerows borders, you will enjoy your own bathroom, a fully equipped kitchen and all the comfort of home. You will also be allowed to use a barbecue to enjoy grilled meat with friends or family. 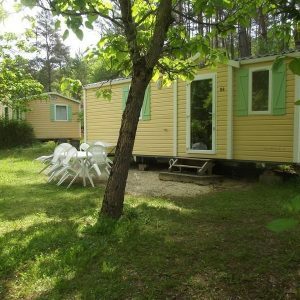 Who has never been tempted to spend a mobile home holiday in the heart of the Dordogne? 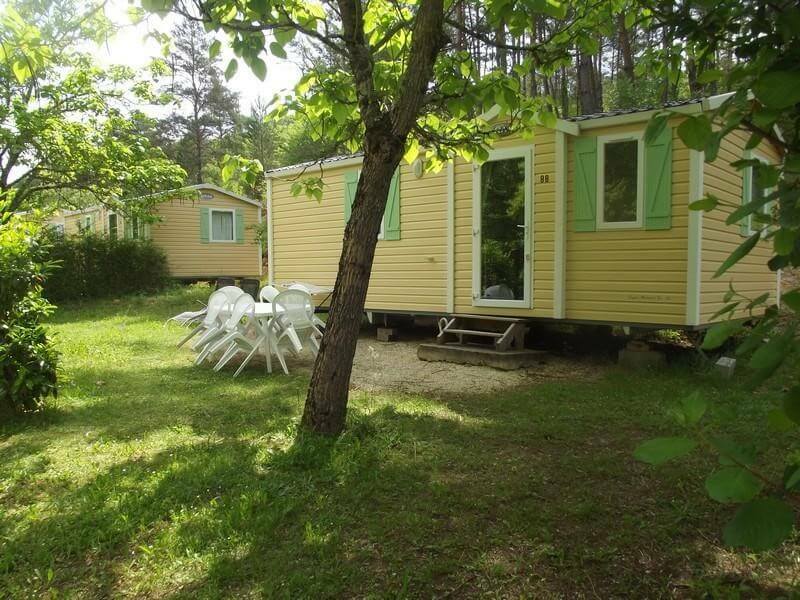 For holidays near Sarlat-la-Canéda and Bergerac, opt for the rental of mobile homes in the Périgord Noir. 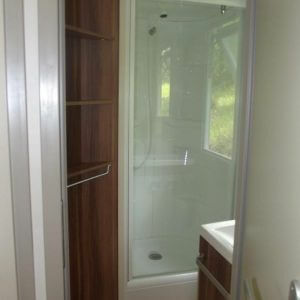 You will have the chance to have comfortable mobile home, so you will enjoy both the indoor and outdoor space. Once you have put your suitcases in the mobile home, you will not be long in discovering the most beautiful sights of the Dordogne: the Lascaux Caves, the Castle of Beynac, the gardens of Marqueyssac or visit the villages of Périgord Noir .